Ripple’s XRP is now down more than 4% on Monday, pairing its earlier gains, after Coinbase shut down yet another rumour that it was planning to support the cryptocurrency. “We have made no decision to add additional assets to either GDAX or Coinbase,” the company said in a tweet Monday afternoon. 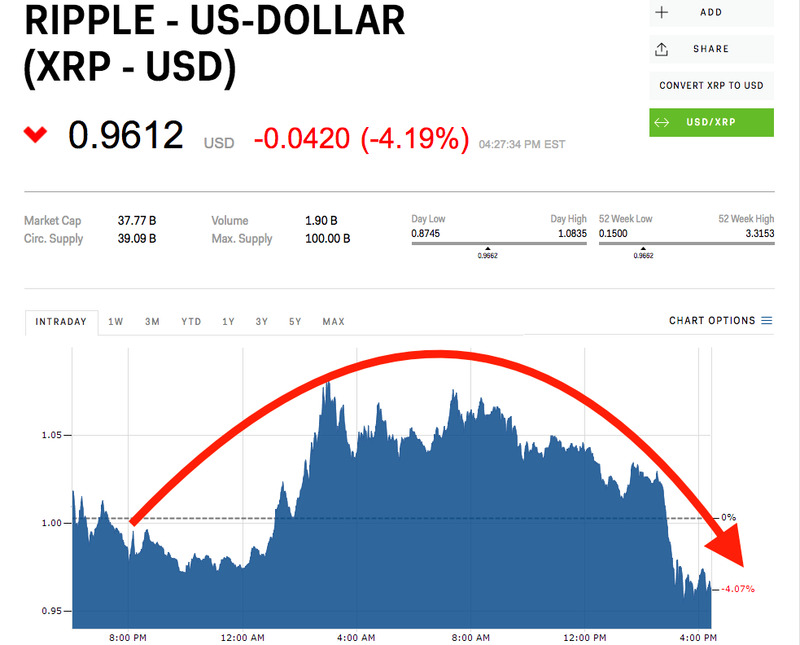 XRP, the third-largest cryptocurrency by market cap, surged as much as 6% Monday morning after a planned CNBC segment Tuesday featuring both Coinbase President Asiff Hirji and Ripple CEO Brad Garlinghouse fuelled rumours online that Coinbase might have been planning to announce support for XRP. Ripple’s XRP has fallen 53% this year.